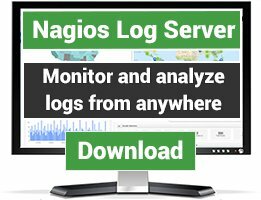 Nagios plugins to monitor various environmental (light, temperature, motion sensing, etc.) hardware devices. There are 99 Listings in this Category.List your addon or plugin here! Plugins for monitoring ESensors' Websensor EM01b environmental monitoring unit, which is capable of monitoring temperature, light level, and humidity. 1wire_temp is a Nagios plugin that is used to monitor temperature using a 1-wire device such as the DS18S20. This plugin check the temperature by using 1-wire and OWFS One Wire File System. It allows you to set low thresholds and high thresholds. All the values are in Celcius. Nagiosgraph map are included. Nagios Plugin that checks the temperature sensors of the Rittal CMC-TC monitoring system via SNMP. The plugin output language is German. Checks the values from the XML interface of the ALL3000 device. This Perl-based plugin checks the health status of Alpha XM units via SNMP. To minimize network and node impact, this script checks the overall health and only if there is an error does it query more tables. This checks are used on the chillers in my datacenter. They are running Carel pCOWeb, FW A1.4.9 - B1.2.4 The checks are both for alarms in the system, and ambient temperature. Checks can be found on github. This script checks the temperature of pCOWEB using SNMP. Output is in Nagios format so can be used to plot graphs. Very basic and no warnings can be generated. Shell script that uses snmpget to monitor an APC Environmental Monitoring Device. This plugin checks the delivered temperature by the one wire weather station (oww). Check the temprature of the IBM BladeCenter H series and generate graph with PNP4Nagios or other graph tools for Nagios. This plugin is checks sensors on AKCP devices. This plugin reads the 1 wire sensor with digitemp and compare it with the supplied thresholds. Check Disk space via SNMP standard MIB query. Collect status and performance data from one or more Brultech Energy Consumption Monitor (ECM) devices. Python script for checking temperature probes in a 1-wire network using the 1-wire server from Embedded Data Systems. A little perl plugin to check the Sensatronics environmental monitor EM1! 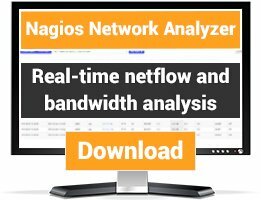 This plugin allows you to monitor and control AVM Fritz!DECT 200 (and maybe other "Smart Home" devices) with Nagios. Script to check the temperature of multiple hard drive temperatures via smartmontools. The temperatures are then summed and divided to get a mean value. CHedk the HWG-STE sensors by using HTTP+XML insted of SNMP. This plugin checks the digital and analog ports on an Infratec RMS system. This plugin can be used to monitor your Knuerr PDU devices with the included current measurement feature. Checks the state and the uptime of Quantum library PX506 (and maybe PX502 & PX510) via SNMP. 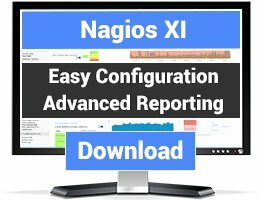 nagios plugin for CONTEG RAMOS temperature/humidity monitors. Parses the xml values. Tested with RAMOS Mini C temperature & humidity sensors.